Hyde Manor, The Street, Kingston near Lewes. Creative Commons Licence [Some Rights Reserved] © Copyright Simon Carey and licensed for reuse under this Creative Commons Licence. This Lewes Archaeological Group talk should be an excellent one. Lisa Jayne Fisher (Archaeology Services Lewes) will talk about the medieval archaeological remains she excavated last year of the “Manor or purported Manor” of Hyde. Margaret Thorburn – author of ‘An Account of the Manor of Hyde: Kingston near Lewes, Sussex‘ (2001) – will talk about the intriguing history of this Manor – one of the three(!) which dominated the Parish. In Medieval times it was located on the north side of The Street before it moved across the road in the 18th Century to its present location. By the end of the 18th Century it had become the largest landowner in Kingston, and was responsible for organising the Enclosure of Kingston (and Iford) in 1831. This resulted in the building of the Newmarket Farm whose history I am researching. Though I am currently researching its WW2 history I very much intend to return to researching its earlier origins. Both speakers have been very supportive of this project. Margaret Thorburn, shortly after the start of our research, generously introduced my mother and I to a number of local Kingston people and publications and gave us a fascinating tour of The Street. Lisa Fisher very kindly helped me last year with the post-excavation processing of our Newmarket Farm dig finds. Oh no! Rottingdean Village Fair is less than two weeks away!! It will be on Rottingdean Village Green & in Kipling Gardens, Saturday 6th August, 10am – 4pm – just follow the crowds. And all being well I’ll be there with a display of old and new finds and information from this amazing project. I just hope I’ll be ready! When not helping care for my dad with his worsening dementia, and other commitments with family, friends, etc., I have been distracted by exciting new discoveries researching WW2 and the Balsdean Downs, the results of which will now be presented to the Sussex Military Society in January next year. The coastal area around Brighton was held by “Brocforce”, later to become the 26th Armoured Brigade in the 6th Armoured Division. The Rottingdean sector was held by the 5th Argyll & Sutherland Highlanders, a machine gun battalion, well supported by mortars and artillery. Right behind that, there were three cavalry regiments (16/5 Lancers, 17/21 Lancers, 2 Lothian & Border Horse) as a mobile reserve, at that time still mostly equipped with Beaverettes and carriers, but also with about a dozen brand new Valentine tanks. In other words, a single German infantry regiment (with a few self-propelled guns) trying to push through that narrow gap in the cliffs would have had no chance at all. 16th/5th Queen’s Royal Lancers ‘Shoulder Title’ excavated from demolition rubble, Newmarket Farm. 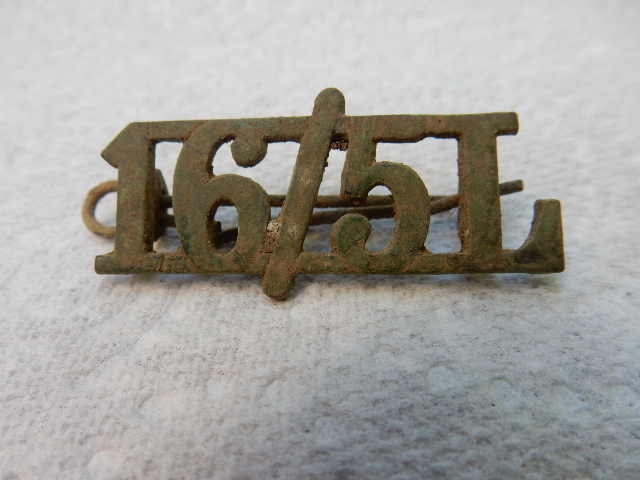 Interestingly, a ‘shoulder title’ belonging to an officer in the 16th/5th Lancers was found in the demolition rubble of Newmarket Farm during our 2013 excavation. From their War Diaries I know they were based in West Sussex during the summer of 1940, but have yet to discover whether they crossed the Adur for an exercise on the Balsdean Downs. They were part of the 1st Motor Machine Gun Brigade known as “Brocforce”. 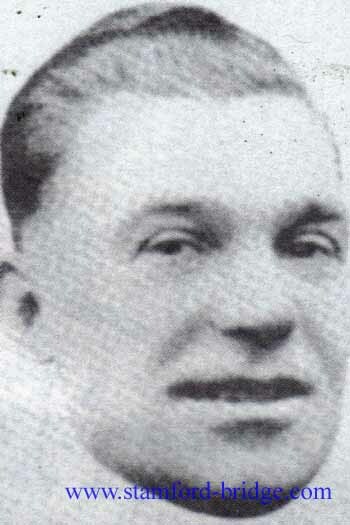 James William “Jimmy” Thompson, professional footballer & talent scout. The 131st Infantry Brigade – which consisted of three 1st Line Territorial Army battalions of the Queen’s Royal Regiment (West Surrey) – held a Falmer Summer Camp in August 1939, immediately before the start of the war. One incident generated the headline, BLOKE’S BONCE BARBAROUSLY BASHED BY BLUDGEON – BLUNDER! At the same camp ex-Rottingdean professional footballer James William Thompson led a one week training session. 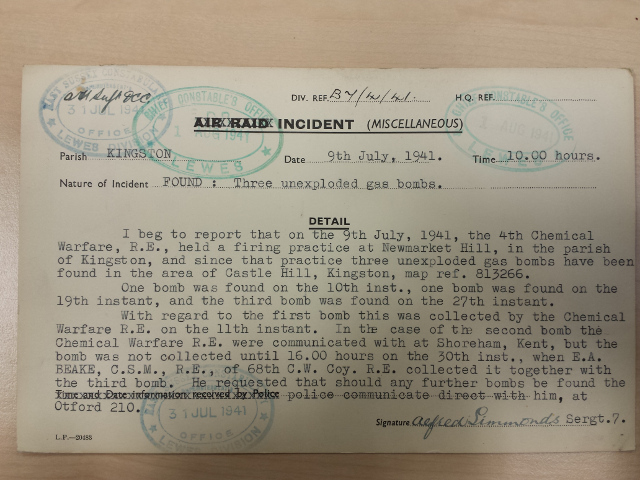 Three unexploded gas bombs found, July 1941. 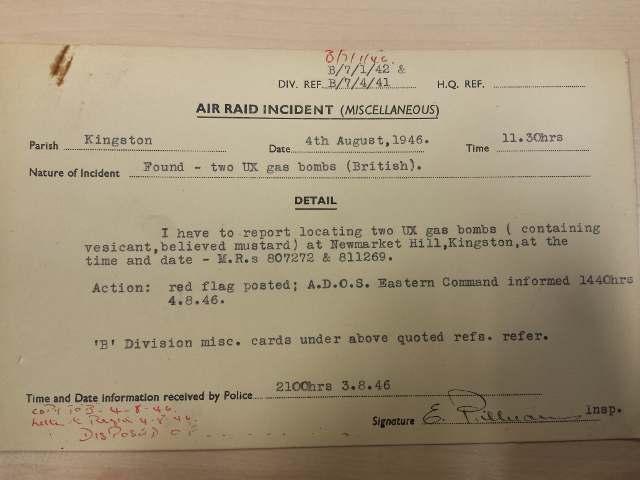 Two UX gas bombs (British) found, August 1946. There are also the – for me shocking – stories of the Auerbach Jewish German refugee family in Balsdean at the start of the war, and Exercise Exodus, which trained Canadian soldiers to fire mustard gas bombs in August 1941 just a kilometre away from the Newmarket Farm where my mother’s family were living. Newmarket Farm photo possibly taken in about 1924 by the Edwards family. From a collection of photos by Capt. Bertie Hubbard Maclaren. Brighton & Hove Royal Pavilion and Museums, ref. HA930078. Click on the photo for an enlargement. Thanks to Daniel Robertson, formerly of Brighton Museum & Art Gallery, I now have a copy of the only surviving photo (known to me) of Newmarket Farm. It was found in a scrapbook of WW2 photographs taken by the former Brighton Corporation Superintendent of Parks, Captain Bertie Hubbard MacLaren. He was responsible for the 1920s redesign of The Level and other projects of that era, including the Preston Park Rockery. They are one of the many hidden gems held by The Keep which have yet to be added to their public catalogue by their busy staff. 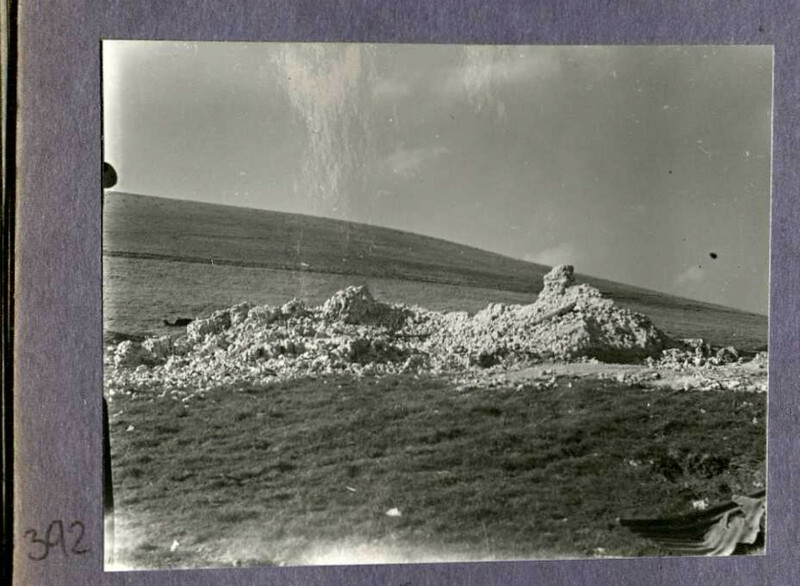 This photograph was part of a collection of WW2 photographs of Brighton and its surrounding downs. 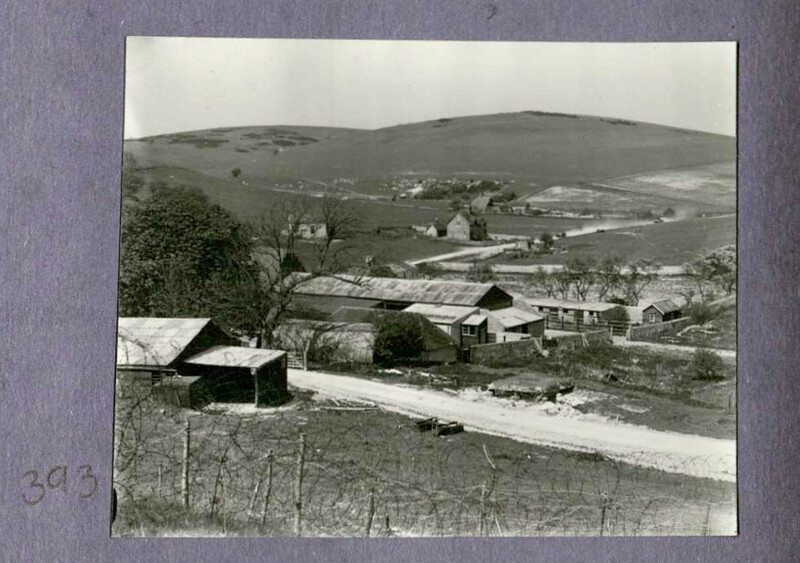 The album included military parades, bomb damaged buildings, crashed aircraft, and a series of photographs of Balsdean Farm (of which the Newmarket Farm was a part). Part of scrapbook of photos taken (and collected) by Capt. Bertie Hubbard Maclaren; Brighton & Hove Royal Pavilion and Museums, ref. HA930078. Click on the image for full resolution. 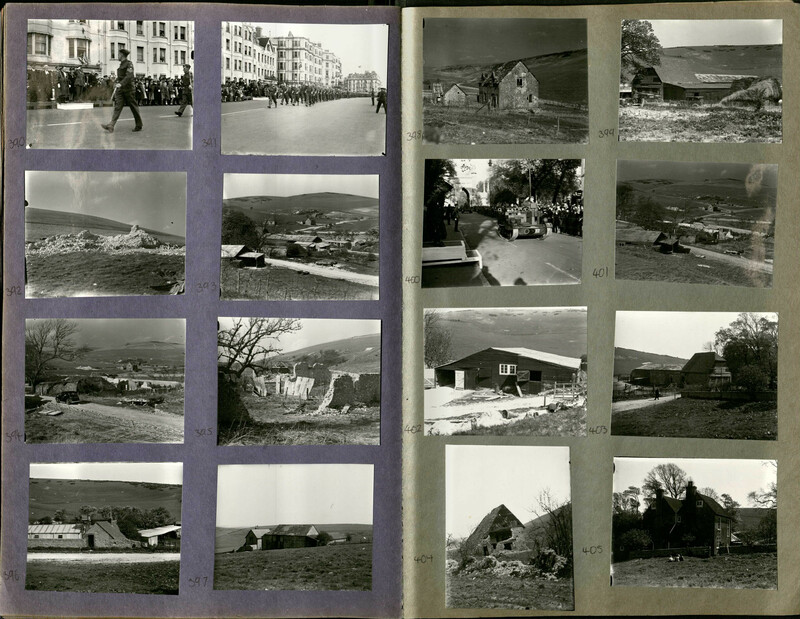 These pages show one or more military parades or inspections in Brighton, a number of pictures of Balsdean Manor farmhouse, farm and barns, including the former Balsdean Chapel, Norton and Newmarket Farms (labourers’ tied cottages), what appears to be a bombed Whitehawk Farm, and a bombed terrace of houses – probably in Brighton. Photo 392. The demolished remains of the former Balsdean Chapel. In Captain Bertie Hubbard Maclaren’s scrapbook, Brighton & Hove Royal Pavilion and Museums, ref. HA930078. Click on photo to enlarge. The photograph numbered 392 in the scrapbook is a tragic one. It is of the thoroughly destroyed 12th century Balsdean Chapel. It was deconsecrated and had been in use as a barn. 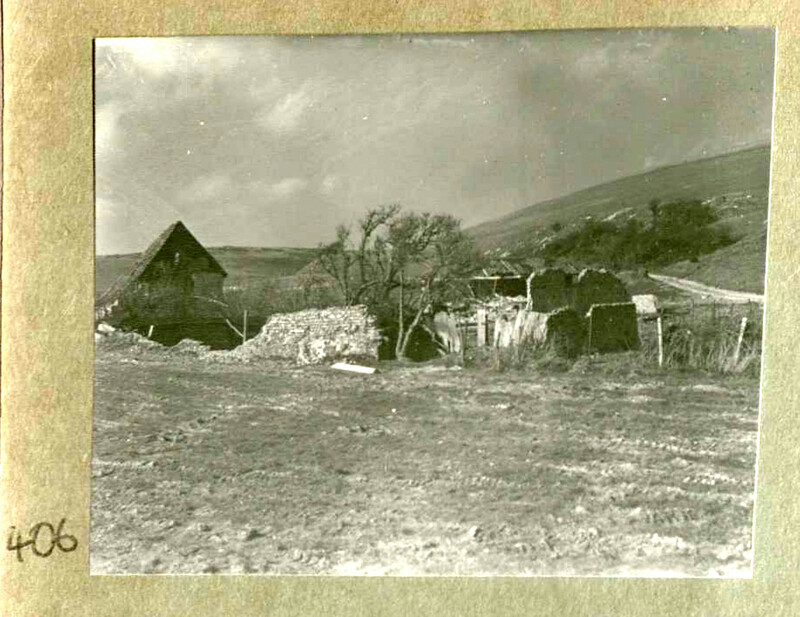 The photo was taken in the paddock between the Manor farmhouse and the row of two farm labourer’s cottages, on or near the same spot as photo 398. Photo 393. Tanks moving into Balsdean. In Captain Bertie Hubbard Maclaren’s scrapbook, Brighton & Hove Royal Pavilion and Museums, ref. HA930078. Click on photo to enlarge. The following photograph (393) shows tanks rolling into an apparently intact Balsdean, behind a double row of military barbed wire. These photographs are not in chronological order for the isolated building slightly left of centre is the Balsdean Chapel, still intact. The War Office requisitioned these downs in May 1942, though the military were training in the area long before this. Of interest is that a copy of this same photograph also exists in my family’s photographic collection. Our copy was from an old Woodingdean friend of my father, Peter Jackson, though he may not have taken the picture himself. He was in the Brighton Railway Home Guard which he probably joined when 18 in about 1944. The track in the foreground is that which follows the valley bottom roughly southwards towards the Balsdean Pumping Station. Photo 394. 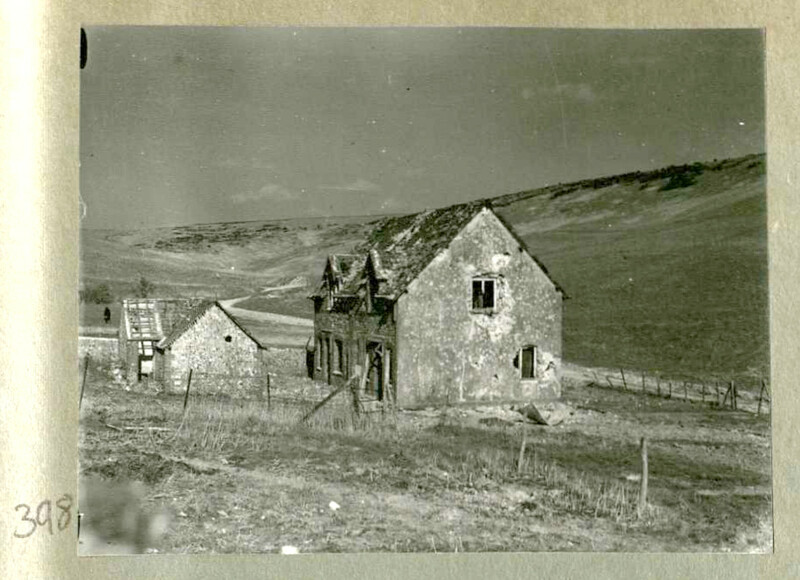 Balsdean with demolished farm buildings. In Captain Bertie Hubbard Maclaren’s scrapbook. Brighton & Hove Royal Pavilion and Museums, ref. HA930078. Photograph 394 was probably taken at the same time as photograph 392. The demolished remains of the Balsdean Chapel look equally fresh. 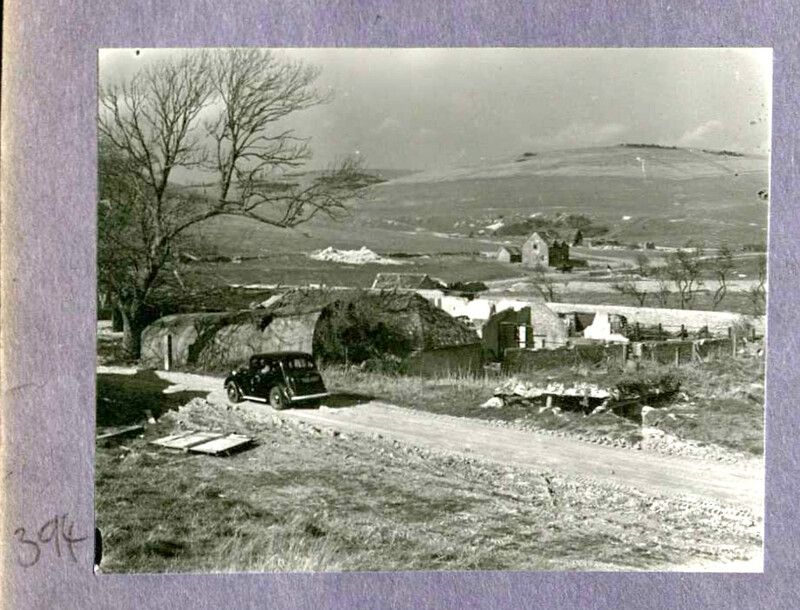 The row of two labourer’s cottages in the centre of the photo and the Norton Farm behind appear relatively intact. Norton was originally a separate farm but by WW1 the two farms had merged, and the farmhouse had become dilapidated and was only used to house farm labourers. The main difference between this photo and the previous one is the systematic destruction of most of the farm buildings. It suggests that the military exercises did not involve the indiscriminate shelling of Balsdean. Each building was therefore individually targeted. This photo probably belongs to a series which included photos 392, 395, 398, 401, 404, 406 and 407. Photo 395. 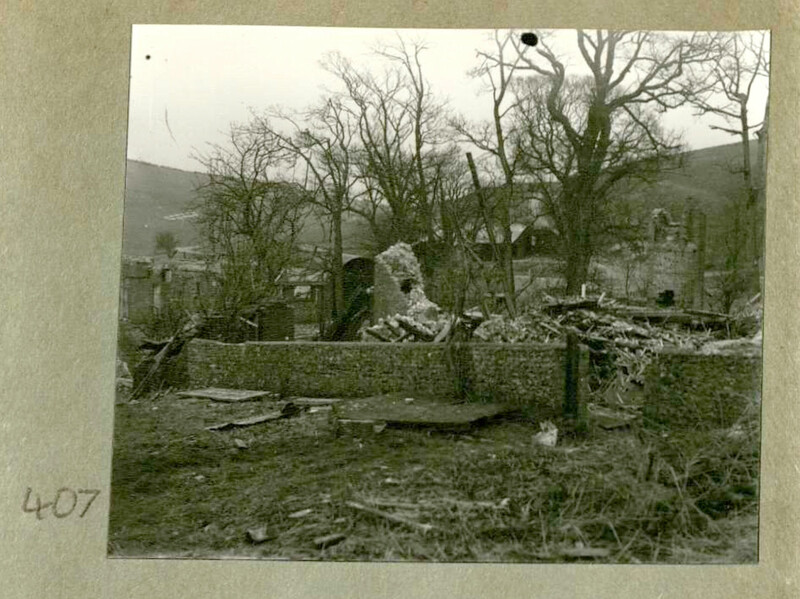 Badly destroyed Norton Farm. In Captain Bertie Hubbard Maclaren’s scrapbook. Brighton & Hove Royal Pavilion and Museums, ref. HA930078. 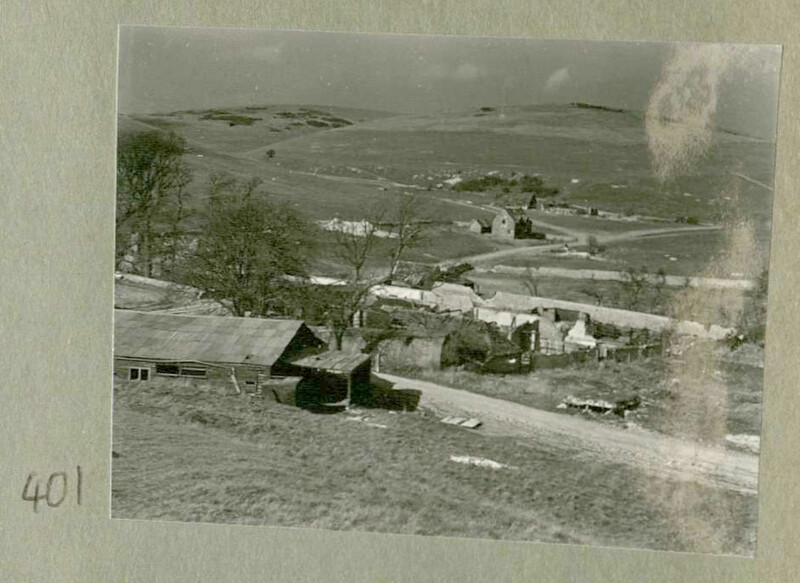 Photograph 395 shows part of the site of Norton Farm towards the end of the war. The walls of its farmyard and barns are in the front of the picture. The timber framed structure behind was also a barn and can be seen in photo 406. Photo 396. Balsdean farm buildings. In Captain Bertie Hubbard Maclaren’s scrapbook. Brighton & Hove Royal Pavilion and Museums, ref. HA930078. 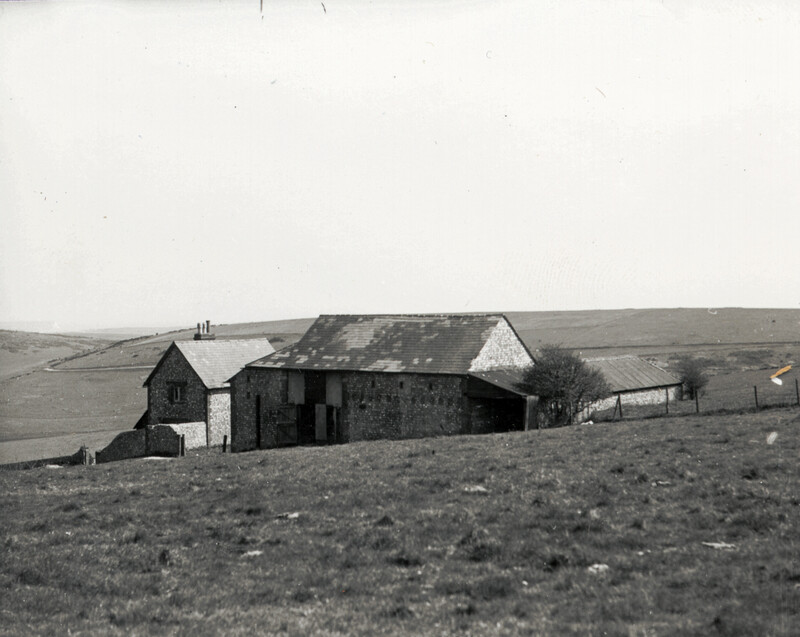 Photograph 396 shows some of the barns and outbuildings – old and new – of Balsdean, not far from the Manor farmhouse, taken north-east of photo 399. Photo 397. Newmarket Farm, probably pre 1934. In Captain Bertie Hubbard Maclaren’s scrapbook. Brighton & Hove Royal Pavilion and Museums, ref. HA930078. I had hoped to find a photograph of the Newmarket Farm for so long that I had almost given up. And now I see it I have mixed feelings, more sad than happy. Some of the romance has gone for me. It looks bleak, very exposed and somewhat run down. Examination of the photograph shows that the outside toilet visible in the north-west corner of the front yard, opposite the front door of the cottage which was used by my mother’s family and the Phipps family before that is not to be seen. Archaeological and oral history evidence indicates that this toilet was built in or very shortly before 1934, so the photo is probably older than (almost) all of the other photographs in this scrapbook. The Phipps and Latham families 1934-1942 have told me that the field in the foreground was used for stock, yet the farmyard and garden gateways in the photo appear to be missing their gates. This suggests that the cottage may have been empty at the time of the photo. 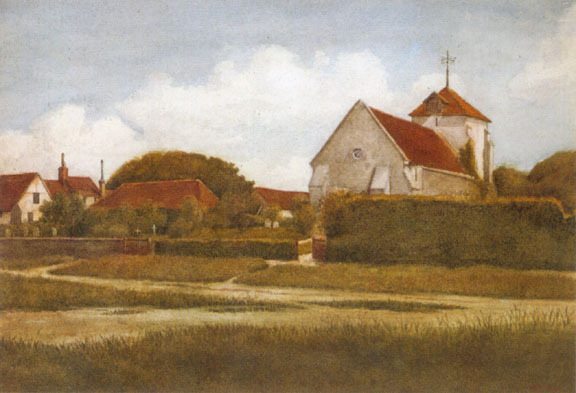 Bob Copper in his book ‘A Song for All Seasons’ tells how he visited the Newmarket Farm as a child on a walk from Rottingdean to the Newmarket Plantation. He was born in 1914 so this would have been sometime in the 1920’s. However, the Phipps family said it was cozy, and the best place they had ever lived in the whole of their lives. If it was still standing they would move right back in. Photo 398. Slightly shell-shocked Balsdean labourer’s cottages. In Captain Bertie Hubbard Maclaren’s scrapbook. Brighton & Hove Royal Pavilion and Museums, ref. HA930078. Photograph 398. The, somewhat beaten up, row of Balsdean farm labourer’s cottages. The photo was probably taken at the same time as photo 394. Photo 399. More Balsdean farm buildings. In Captain Bertie Hubbard Maclaren’s scrapbook. Brighton & Hove Royal Pavilion and Museums, ref. HA930078. 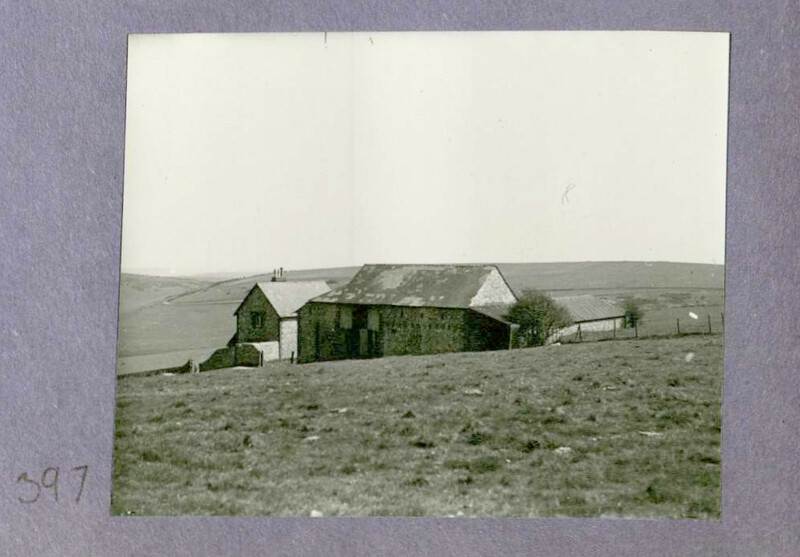 Photograph 399 is of a barn more or less directly opposite the Manor farmhouse. It is shown more clearly in photo 403. Photo 401. 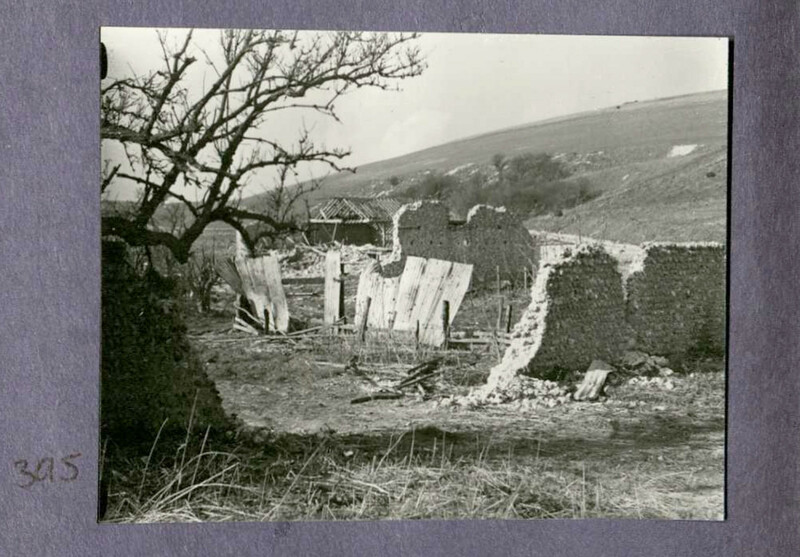 Balsdean with demolished farm buildings. In Captain Bertie Hubbard Maclaren’s scrapbook. Brighton & Hove Royal Pavilion and Museums, ref. HA930078. Photograph 401 was taken more or less at from the same location as photos 393 and 394. It may well have been taken at the same time as photographs 392, 394, 395, 398, 404, 406 and 407. They were all taken on a winter afternoon and show the same damage. This photograph was taken from the side of the track which drops steeply down into Balsdean on the most direct route from the back of Woodingdean. The demolished remains of the Manor farmhouse can just be seen in the trees behind the building on the far left of the photo. Photograph 407, which also shows the demolished remains of Balsdean Manor, was taken from the other side of these trees. Photo 402. New farm building at Balsdean. In Captain Bertie Hubbard Maclaren’s scrapbook. Brighton & Hove Royal Pavilion and Museums, ref. HA930078. 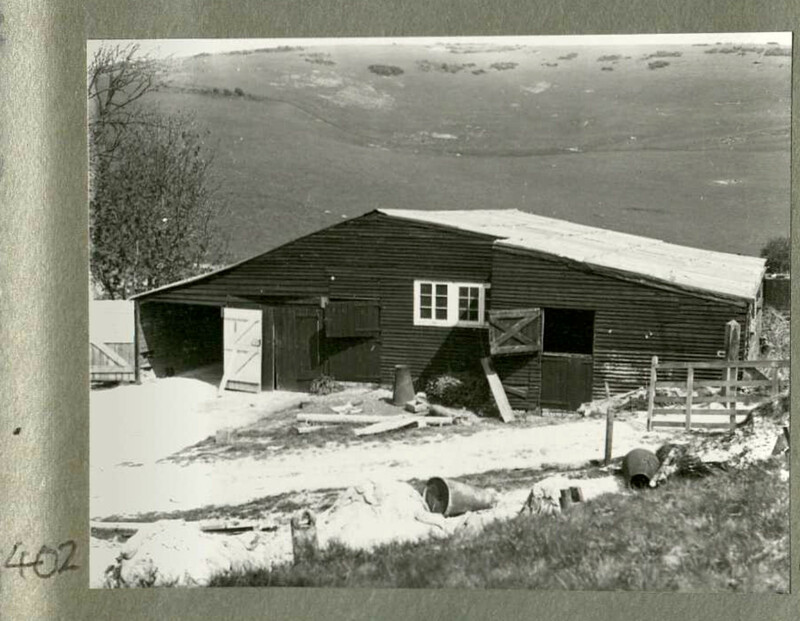 Photograph 402 is of a barn at Balsdean, though I haven’t been able to identify it in any of the other photos. Nevertheless, the hillside in the background is identical to that of photos 396 and 399, suggesting they were taken at the same time. No sign of damage to the buildings so probably these were taken pre- or early war. Photo 403. More Balsdean farm buildings. In Captain Bertie Hubbard Maclaren’s scrapbook. Brighton & Hove Royal Pavilion and Museums, ref. HA930078. 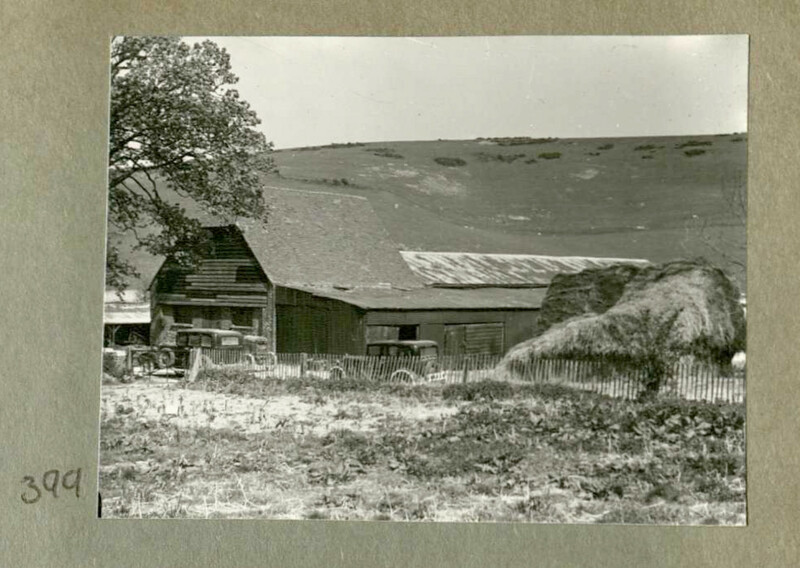 Photograph 403 shows the same barn as in photo 399. Both were taken either side of Balsdean Manor’s front garden. On the open hillside, just above the left end of the barn, is what appears to be a linear trench, with chalk spoil in about 8 piles on either side of the trench. It is also shown in photo 403 and still looks relatively fresh. This would therefore suggest that the closely related photos, 396, 397, 399, 402, 403 and 405 were all taken in or shortly before 1942. The Balsdean farmer in 1941 complained to Brighton Corporation about the problems they had with all the soldiers. They were definitely conducting live firing and other exercises at least a year before the farm was requisitioned in 1942. Photo 404. Badly destroyed Norton Farm. In Captain Bertie Hubbard Maclaren’s scrapbook. Brighton & Hove Royal Pavilion and Museums, ref. HA930078. 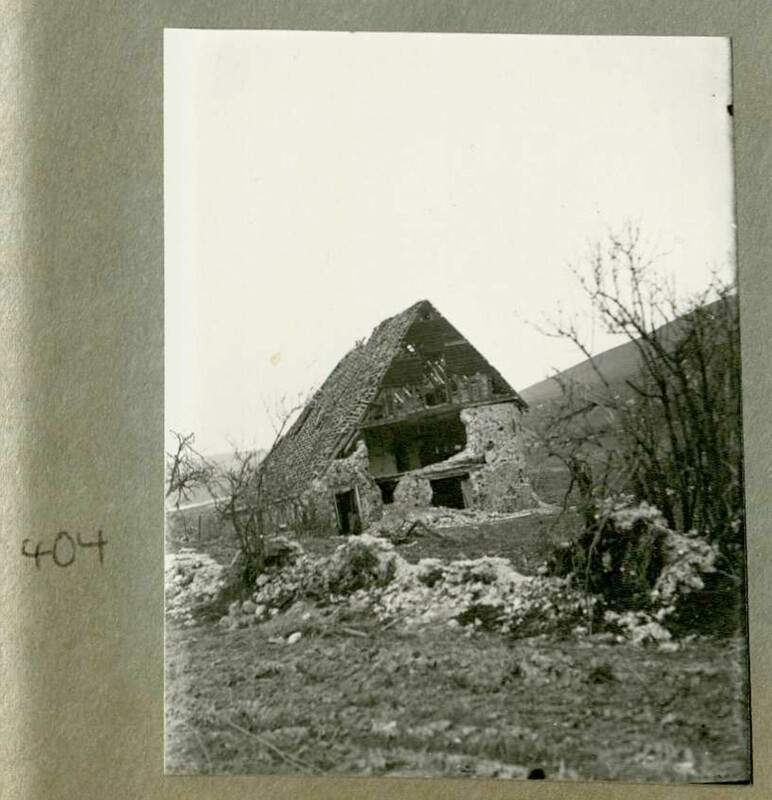 Photograph 404 shows a badly damaged Norton Farmhouse. 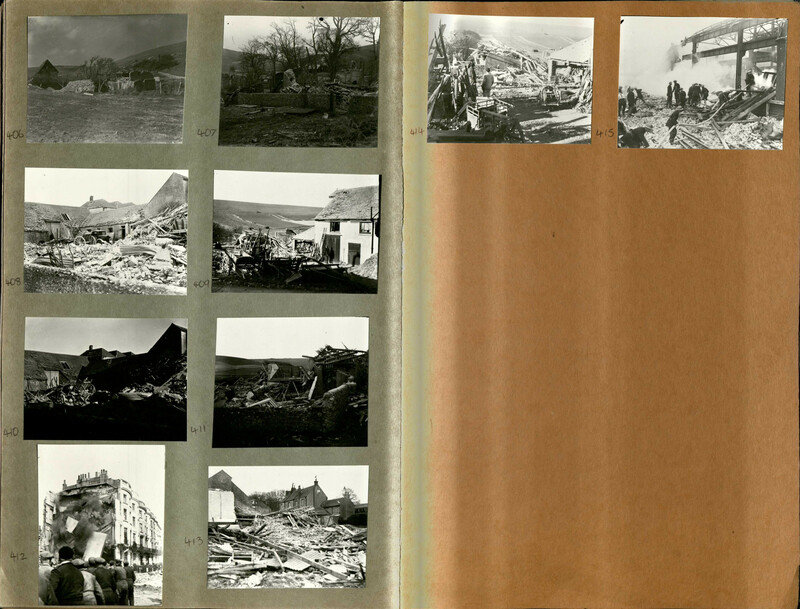 The other photos of Norton Farm, 395 and 406, all appear to have been taken on the same day. Edwards family children early-mid 1920’s near the back of Balsdean Manor. In Captain Bertie Hubbard Maclaren’s scrapbook. Brighton & Hove Royal Pavilion and Museums, ref. HA930078. Photograph 405 was taken in the paddock between the rear of the Manor farmhouse and Balsdean Chapel. More interesting is that a copy of this photo was given to Peter Longstaff-Tyrrell by the Edwards family for inclusion in his ‘Lost Villages’ book. It is of the Edwards family children and was taken on or shortly before 1925. Their father was the farm manager from 1918 – 1925 and they lived in the Manor house. 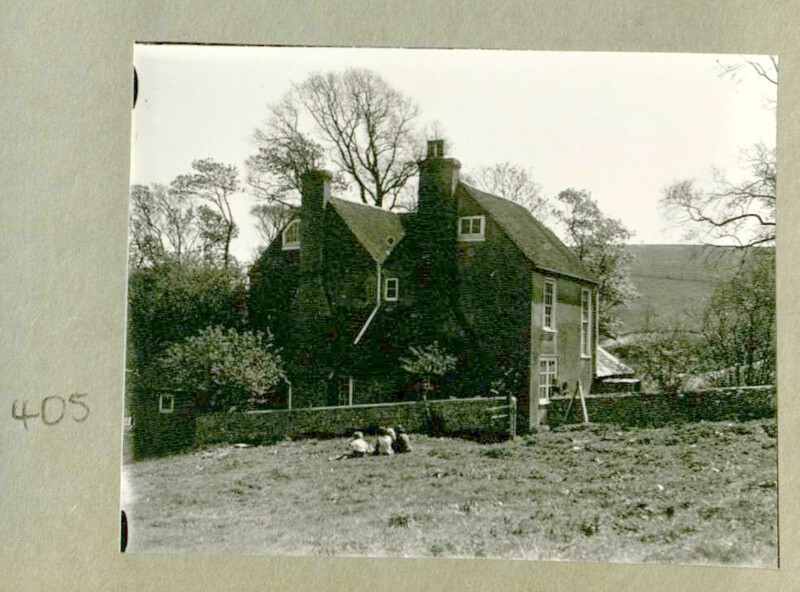 It is possible that they also took photo 397, that of Newmarket Farm, which they said they moved to in 1924. Apparently they often returned to visit Balsdean of which they were so fond, and it may have been on one of their visits that they met Captain Bertie Hubbard Maclaren and gave him a copy of this photo. Photo 406. Badly destroyed Norton Farm. In Captain Bertie Hubbard Maclaren’s scrapbook. Brighton & Hove Royal Pavilion and Museums, ref. HA930078. 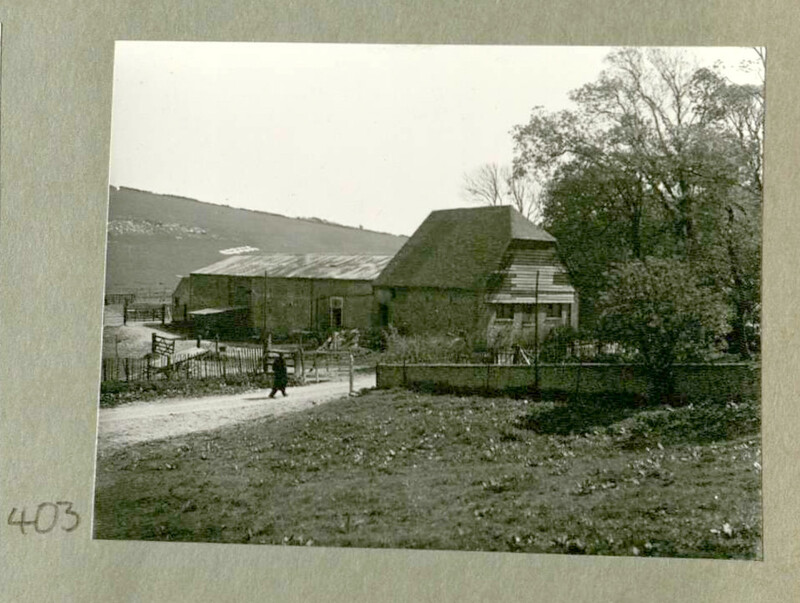 Photograph 406 is of Norton Farm, and shows the relative location of the buildings shown in photos 395 and 404. Photo 407. Totally destroyed Balsdean Manor. In Captain Bertie Hubbard Maclaren’s scrapbook. Brighton & Hove Royal Pavilion and Museums, ref. HA930078. It is hard to believe that photograph 407 is of almost the same view as that of the Edwards family children sitting in the paddock next to Balsdean Manor’s back garden gate. In the distance, more or less in the centre of this photo, is the farm building shown in photo 401. 3. Where the image is used in another work, that work must be shared on the same basis as this image ie. free of charge. As far as I know the scrapbook has yet to be added to their public catalogue, so an email to thekeep@eastsussex.gov.uk is required to make a request to view it. Folkton & Flixton War Memorial, near Scarborough. From a photo by Colin Hinson. In an earlier post I gave a lengthy description, based on a variety of sources, of the accidental death on 16th July 1945 of Keneric (also spelled Kenerick) Wilson, Private number 14802005, B Company, 1st Battalion Sherwood Foresters. This was during a 2″ mortar exercise at Balsdean, in the centre of the South Downs Training Area, Block3. The mortar appears to have hit a tree just 12 feet away, killing Wilson and wounding 3 others. The 1st Battalion Sherwood Foresters, recently stationed near Canterbury, Kent, was part of the 184 Brigade – part of the 61st Light Division – since June 1945, and were training in preparation for being shipped out to Burma to fight the Japanese. Wilson was 33 years old, had been a smallholder, and had lived at Flixton, Scarborough. He left behind a wife and child. One O.R killed and 3 O.Rs wounded in an accident during ‘B’ Coy 2″ mortar field firing exercise in Southdown Trg Area. 171 Field Ambulance was supposed to have supplied an ambulance for the exercise, and I located their war diary at The National Record Office. Unfortunately they did not record the provision of this ambulance, yet alone any information about this incident. After sorting out some confusion between the 183rd, 184th and 185th Infantry Brigades (see comments below), I also found their June and July 1945 war diaries. They were the brigade in charge of the 1 Foresters from June of that year. They chronicle the setting up of their new HQ near Canterbury, and the reconnaissance of training areas. 13th June Bde Comd [Brigade Commander] visited SOUTH DOWNS training area. 21st June BMs [Brigade Majors] conference on training areas. 10th July Bde I.O. [Brigade Inspection Officer] visited SOUTH DOWNS. Was this routine, or was there an issue that needed addressing? The War Diary was silent on the matter. Five days later Private Wilson was dead. Perhaps I was naive to expect to find any more information. I should by now have realised there was a war on. As regular readers will know, I am researching the South Downs near Woodingdean (between Brighton and Lewes, Sussex, England). In 1881, and again in 1901, a David Davey and his family were living just a mile and half away in Newmarket Farm (birth place of my mother). He was an agricultural labourer and carter. In 1891 – for just a few years – he had his own farm near Horsham. Military Training Area No. 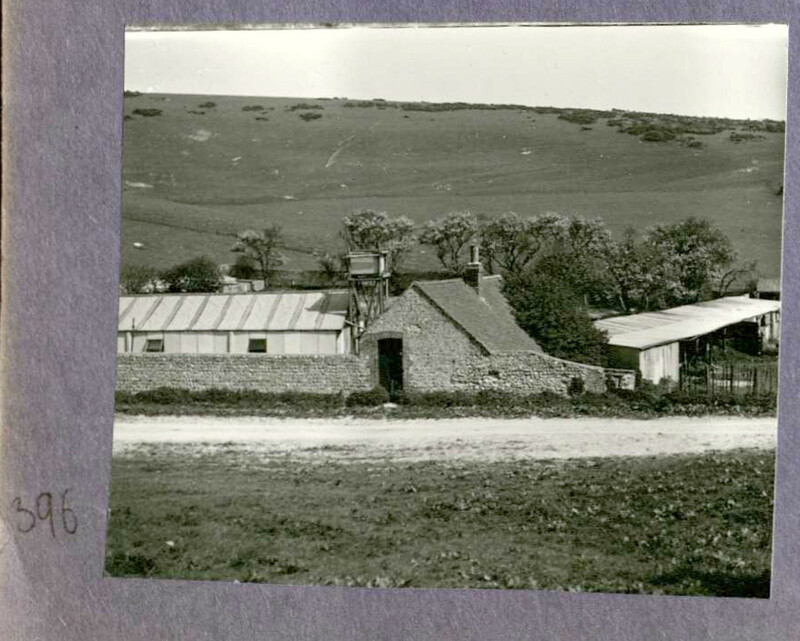 3, East of Woodingdean (click on image for an enlarged view); Base photo from East Sussex Record Office, The Keep. The Second World War had a big influence on the Downs east of Brighton centred on the now deserted medieval hamlet of Balsdean. 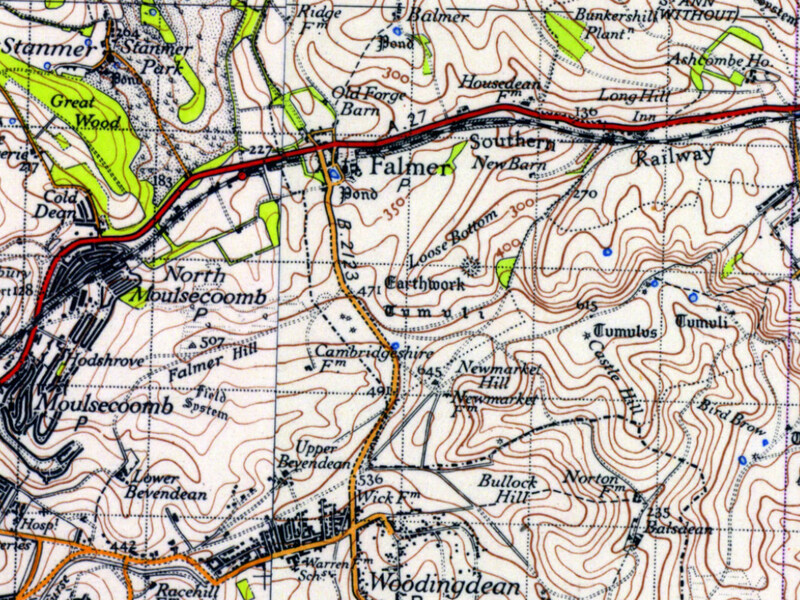 Sometime, probably in May 1942, it was requisitioned to become the ‘Number 3 South Downs Training Area’. This comprised the majority part of the mostly unploughed steep downland hills and valleys between Woodingdean and the lower Ouse Valley, and between the Lewes Road and the sea. Evidence for their activities was hard to ignore in the demolition rubble of our Newmarket Farm excavation. 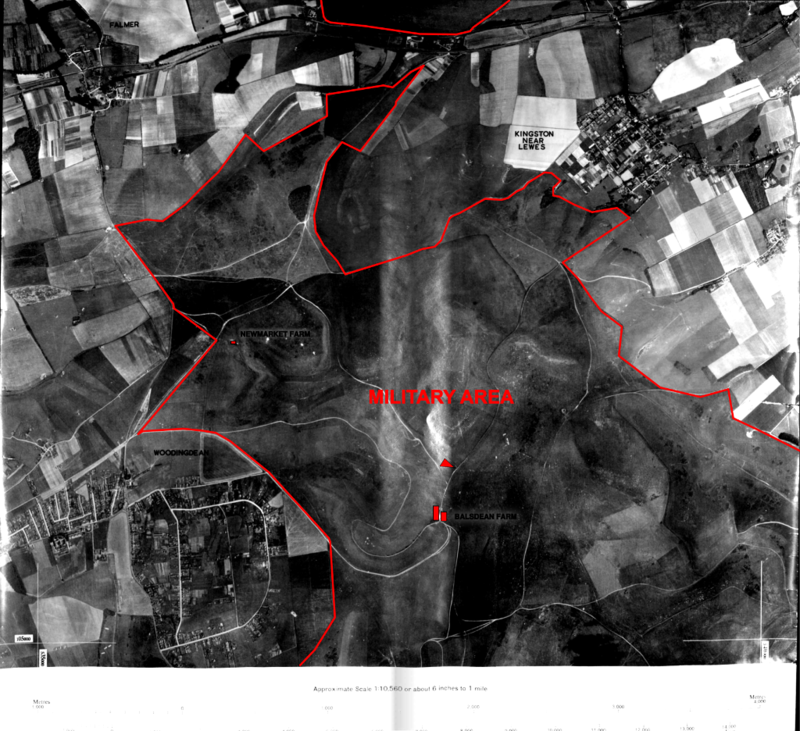 However, apart from general information, such as that unnamed French Canadian troops had been billeted in Balsdean, I haven’t been able to find any publications giving details of the live firing exercises which took place there, and/or of those who trained in the area. Communications with members of the Sussex Military History Society has confirmed that no such research is known to have been done. So – somewhat reluctantly – I have taken on the task of tracing the various regiments who at one time or other may have trained in this area. I was informed that if I find a war diary of a regiment based in this area, it should list both those who were there before them, and those who replaced them. I started with the only definitive lead that I had for military training in Balsdean; a summary of a Coroner’s report from the East Sussex Record Office for the accidental death of Private Keneric Wilson whilst on a training exercise there on 16 July 1945. Grave Reference: Sec. I. Grave 2. Additional Information: Son of Richard and Annie Elizabeth Wilson; husband of Jean Wilson, of Cayton. Mortar Practice Accident Pte. Kenerick Wilson, First Battn. Sherwood Foresters, aged 33, one of five soldiers injured during mortar practice on the South Downs on Tuesday, died soon after admission to hospital. At the inquest yesterday soldier witnesses stated that a tree 12ft. away was blasted, suggesting that the bomb had struck it. Wilson, a smallholder in civil life, lived at Flixton, Scarborough. Verdict: Accidental death. By mid 1945 the 1st Battalion had been re-formed and was training as part of 61 Light Division to move out to take part in the final defeat of the Japanese. However with the end of hostilities its role was changed and instead it joined the Army of Occupation in Germany. War Office: Home Forces: War Diaries, Second World War. INFANTRY. 1 Sherwood Foresters (Nottinghamshire and Derbyshire Regiment). Instructions issued to Coys [Companies] for training to be carried out on SOUTHDOWN BLOCK 3 for period 9th – 19th July. See Appendix C.
‘A’ Coy on Southdown Trg [Training] Area field firing. “B” Coy proceed to the Southdowns training area for a three-day field firing exercise. One O.R [Other Rank] killed and 3 O.Rs wounded in an accident during ‘B’ Coy 2″ mortar field firing exercise in Southdown Trg Area. 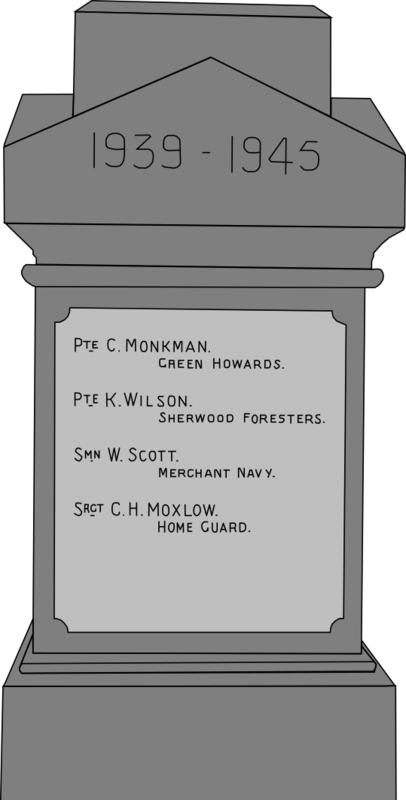 From: 2 i/c 1 Foresters [2nd in command, 1st Battalion Sherwood Foresters]. 2. During this period, all coys will bivouac in the ex-REME [Royal Electrical and Mechanical Engineers] hutments at OLD FORGE BARN 789283. (b) Eight 3-tonners RASC [Royal Army Service Corps] have been applied for to assist in move on each 8, 11, 15 , 17, 19 Jul. 1 4 x 4 8cwt. 1 Ambulance (to be provided by 171 Fd Amb). (d) The attention of Coy Comds is drawn to F.S.P.B. pamphlet no. 9 – ‘Movement by Road’ [Field Service Pocket Pocket Book Pamphlet No. 9 – ‘Movement by Road and Rail’, 1943]. Coln [Column] will halt for 20 minutes at 20 minutes to each even hour. (b) The following stores will be drawn from the Q.M. [Quarter Master] by ‘A’ Coy and any unexpended item will be brought back by ‘D’ Coy at the completion of trg. Coal, Paraffin, Petrol, Buckets latrine, and Screens latrine. Q.M. will arrange for one sanitary man to accompany ‘A’ Coy and remain until return of ‘D’ Coy. (c) Each coy will take their own G.1098 [standard equipment issue] cooking utensils. Any additions to this scale will be drawn by ‘A’ Coy and returned by ‘D’ Coy at end of period. Arrangements for rations will be made direct with coys by the Messing Offr [Officer]. (d) M.T.O. [Mechanical Transport Officer] will make arrangements for drawing POL [Petrol, Oil, Lubricants] by vehs [vehicles] remaining at SOUTHDOWN. (e) Mail will be fwd [forwarded] with the rations. 5. All coys will ensure that the R.E.M.E. hutments and area are left entirely clean after use. All coys will render a certificate to the Q.M. on return, stating any losses or damages of G.1098 eqpt. (nil returns returned). 6. Each coy will draw from the W.T.O. [Weapons Training Officer] and be responsible for its own amn [amunition] requirements for period allotted. 7. Os.C Coys will ensure that exercises carried out on BLOCK 3 comply with all safety regulations. Certificates as to blinds [unexploded shells] etc. will be rendered as usual. 8. Sig Offr [Signals Officer] will arrange for comn [communications] police and control throughout period direct with coys. 9. The R.M.O. [Regimental Medical Officer (normally an army General Practitioner with additional training in Pre-Hospital Emergency Care and Occupational Medicine)] will accompany ‘A’ Coy to SOUTHDOWN on 8 Jul and will return on 19 Jul. A 9 0930-1700 WT [Weapons Training] Circus[?]. Individual Fd Firing. A 11 0830-1600 Individual Split Second Shooting Competition. C 12 0930-1700 Weapon Firing Circus – Digging, Fdcraft [Fieldcraft], Swimming. C 13 0930-1700 As for 12th. C 14 0930-1700 As for 12 – 13th. Then, after Appendices E – F, which detailed a Rifle, Bren and Sten gun firing exercise in Broome Park, and the Mobilisation schedule for their forthcoming posting to fight the Japanese, Appendix H returned to their training programme, 16th – 21st July, which included the South Down Block 3 field training exercise. Sunday 15th is not given, possibly because they were in transit (no live firing on Sundays?). B 16 0815-1610 Indv [Individual] Fd Firing. B 17 0815-1615 Indv Fd Firing. D 17 0830-0910 Coy Comds lane[?] Inspection. I haven’t included here all of their day to day activities included in this diary – mostly centred around training and other preparations for their planned posting to the Far East to fight the Japanese, of which the above training would have been an integral part. I am not a military expert, so undoubtedly I will make many errors in interpreting their battalion’s war diary, nevertheless I have made the attempt anyway (if a job’s worth doing, it is worth doing badly!). Please leave a comment when you spot my errors. Also, please indulge me when I state the obvious. I learnt more from reading and making the attempt to understand the minutiae of this war diary than from all of my previous studies. It helped me to get a feel for the details, which I consider to be just as important as the big picture. It took me a while to understand that the purpose of this war diary was essentially just to record planning and logistics. Accidents happen. Accidents in live firing situations are presumably not much more than unfortunate if they have no significant effect on the fighting ability of the Battalion. By the very end of the war those in command of the 1st Battalion Sherwood Foresters would have seen much conflict. They were busy making preparations for being shipped out to the east to face the Japanese. Germany had surrendered. V.E. Day had been and gone, but the Japanese were still fighting. Careful reading of this war diary, combined with further research on the Internet, revealed further information about the men, equipment and logistics involved in this exercise. The Regimental Medical Officer (effectively the Battalion’s G.P.) left the relative comfort of the Battalion HQ where he would have been based and stayed with each of the Companies (in their bivouac huts?) for the duration of their field training, so as to be on hand in case of accidents. A strong indication that the approximately 100 men in each of the companies on this training exercise were recognised to be in greater danger of harm than their 700 plus colleagues back in camp. 171 Field Ambulance provided an ambulance. according to the website, ‘Battalion Organisation during the Second World War‘, each rifle company should have been issued with a 3cwt jeep. The best possibility I have found for this vehicle is a Morris-Commercial PU8/4, 1942[1940/41? ], 4×4 8-cwt truck, though Humber and Ford produced similar vehicles, capable of carrying about 3 people in the back. The ‘Historic Military Vehicles Forum‘ have some good pictures. 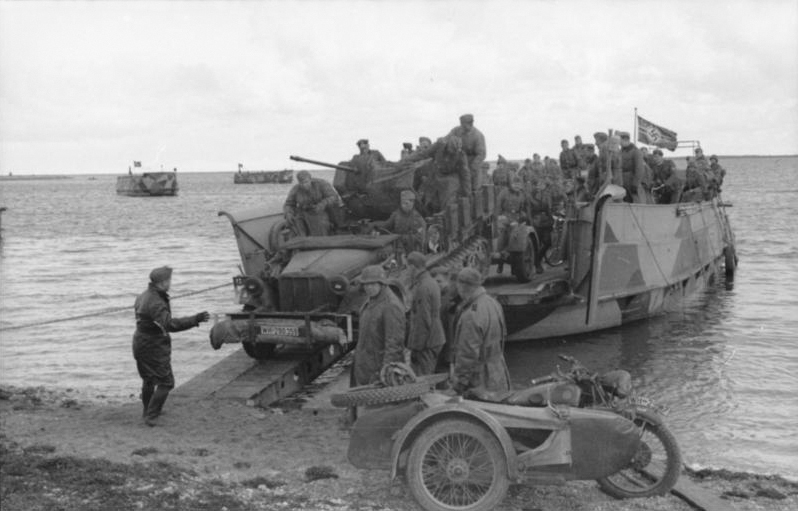 However, 8cwt 4×4 trucks were supposed to be obsolete by June 1944 – in order to standardize production by reducing the range of vehicle types being made – and should have been replaced by both American Jeeps (Royal Army Service Corps – 1939-1945 – Motor Transport website), as well as the 15-cwt trucks of both the Battalion Headquarters and the Signal Platoons, which should have been upgraded to four wheel drive, personnel, standard trucks, capable of transporting about 8 men (see for example the Battalion Organisation website). one of the 3-ton lorries (normally used to carry stores) would have been the responsibility of the Administrative Platoon (responsible for a range of goods and services), and the other two would have been issued to the Assault Pioneer Platoon (possessors of a range of practical skills and trades largely associated with construction work). each rifle platoon was supposed to have been issued with 3 15cwt trucks, so no problem with provision here. Their Mechanical Transport Officer provided the necessary petrol, oil, and lubricants to fuel and maintain their vehicles, etc. Apparently the Transport Officer was normally a subaltern, the second highest ranking officer in the Administrative Platoon. Their Quarter Master provided their coal, paraffin, petrol (presumably fuel for cooking), buckets and screens for their latrine (shared by each company). He was the highest ranking officer in the Administrative Platoon – a Captain. The Officers Commanding the companies were to take bivouac bedding and hurricane lamps for their men. They were to be staying in huts, so presumably these were minimally furnished. Standard issue cooking utensils were taken. It was not stated whether the bivouac cooking would have been an individual or communal activity. There is no reference to their bringing any of the Battalion’s cooks with them, though with about 15 of them I would have thought one or two could have been spared if they were considered necessary. Each company would arrange rations with the Messing Officer. Apparently a Company Quartermaster Sergeant had this role. He was part of the Headquarters Company. Each company would be responsible for its own ammunition requirements, drawn from the Battalion’s Weapons Training Officer. I found it more difficult to trace this officer’s position within the Battalion. However, I found someone with this title who had the rank of Captain, and therefore the best candidate for this role was the Officer in charge of ‘Operations & Training’ who was part of the Battalion Headquarters. Unfortunately for me, the safety regulations to be complied with by the Officers Commanding were not given in the diary. Likewise, the process involved with the completion of a certificate relating to unexploded shells. All Companies were to bivouac in the ex-Royal Electrical and Mechanical Engineers hutments at Old Forge Barn, Grid Ref: 789283. There is a barn of this name immediately to the north of the village of Falmer. To confirm this I needed to locate the Grid Reference on a map. Fortunately for me Peter Hibbs’ website helped me understand I was looking for a Cassini to National Grid converter (I have to admit that I found John Penny’s conversion formula confusing). The best I found was the Co-ordinate Converter at FieldenMaps.info. From Peter Hibbs I knew that the square was ‘wQ’, so the full Cassini 6 figure grid reference was wQ 789 283. This generated a modern grid reference of TQ 35350 09296, which rounds to TQ 353 093. 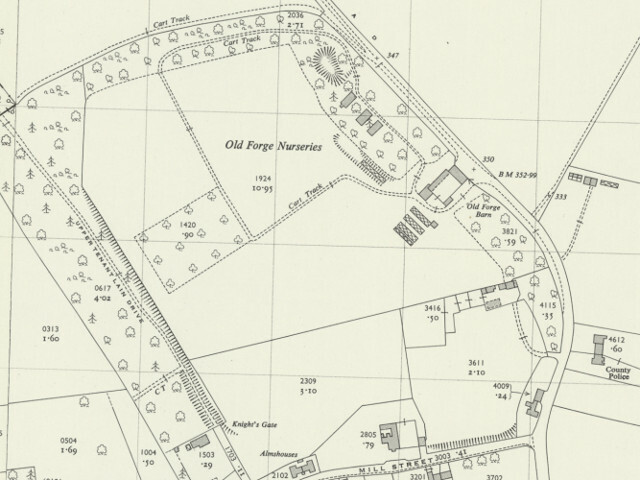 This centres nicely on Old Forge Barn, Falmer using the excellent free maps website of the National Library of Scotland. Falmer, O.S. 1945. Map courtesy of National Library of Scotland. Falmer, O.S. 1956. Map courtesy of National Library of Scotland. The row of three buildings under the trees to the north west of the Old Forge Barn look interesting. 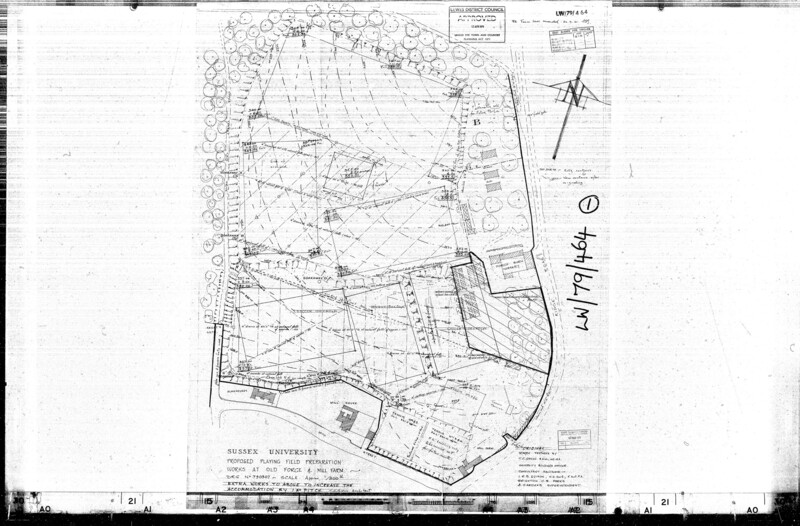 Fortunately there was a planning application in 1979 recorded on the Lewes District Council website. This included a detailed plan of the site. Falmer Old Forge Barn Plan, Lewes District Council, 1979. Click on image for a larger view. 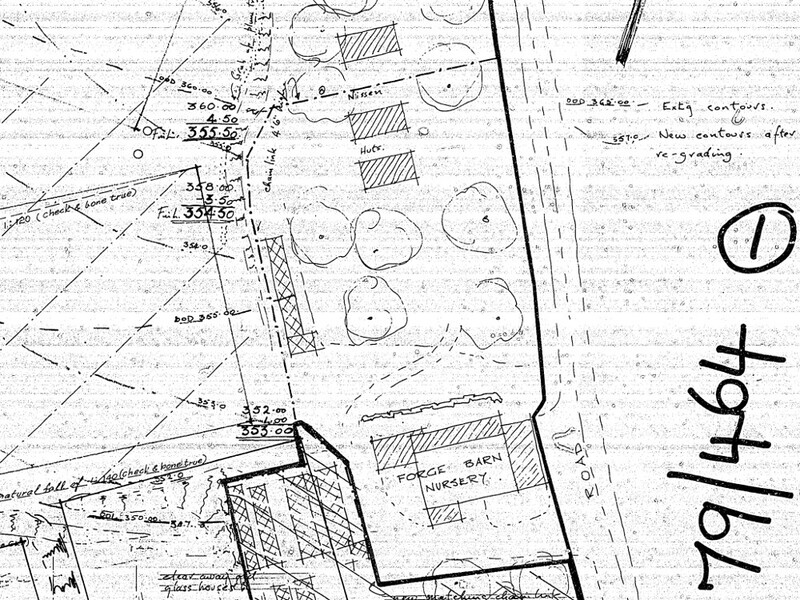 Detail of Falmer Old Forge Barn Plan, Lewes District Council, 1979. Click on image for a larger view. What was a ‘weapons training circus‘? What was involved with ‘individual field firing‘? ‘Individual Split Second Shooting Competition‘? ‘Firing All Weapons, P.I.A.T. [anti-tank weapon], High Angle (Demonstration)‘? ‘Fieldcraft‘ (similar to that described in the Home Guard Manual)? ‘Swimming’ (Falmer Pond is only deep enough for paddling so where might they have gone – if in the sea, were all the beaches mined)? If anyone has information about such training exercises, and/or manuals, etc. I would be very grateful. Meanwhile, I have successfully found the ex-REME huts in Falmer where Private Keneric Wilson would have spent his last night before his fatal accident. I still hope to find more information about the location of his accident. The results of my follow up visit to The National Archives will be given in my next blog post. Tanks move into Balsdean, 1942. Photo: Holland-Mercer collection. Another year of my Newmarket Farm project has ended – lots of achievements, and even more planned to be done! A big thank you to all who have helped make it possible. You know who you are!! The picture above marks both the end of Newmarket Farm, birth place of my mother, and of the Balsdean Farm for which her family worked in 1942. Three years later not a building was left standing. This coming year I plan to find out more about the allied training exercises whose ordnance remains we excavated from the demolition rubble of Newmarket Farm back in 2013. Examining Newmarket Farm. Photo John Funnel BHAS. Very quickly my researches grew and I soon found myself writing the draft of a book about its history, the text of which is given above. Then a meeting with Natural England’s Castle Hill National Nature Reserve management in 2012 led to an invitation for an archaeological excavation, which which has been chronicled in this blog. Day 1. Digging W side of Cottage. To follow the story a good place to start might be with Distant Memories…. It is a long story which still has far to go, especially since I had no previous excavation experience, but with lots of good support and advice from Greg Chuter (County Archaeologist), John Funnel (Brighton and Hove Archaeology Society), and a wonderful team of volunteer diggers we did a pretty good job of excavating the foundations of the cottage in 2013, though we didn’t finish till February 2014! I gave 2 well attended guided tours in November 2013. For a review of progress at the end of the dig you might like to read the 2014 post, Update on Past, Present and Future for Newmarket Farm Dig. View SE over site from half-way up aerial. In 2014 I gave three well received local talks about the dig and the local history of the area I had researched. However, I also discovered that the post-excavation processing of my finds and the writing of an excavation report was a far bigger job than anticipated. I had struggled to manage formal context recording on site, and to retrospectively analyse each aspect of the dig proved challenging. I therefore signed myself up to a number of archaeological training courses run by the Sussex School of Archaeology. I also became involved in an oral history project about nearby Stanmer Park, which helped in my research of Newmarket Farm, for the Pelham family had a considerable influence on the area. In 2015 I had stalls at four historical and archaeological events, gave one well received talk, and it saw the all important start of the processing of my finds. Four volunteer pot washing sessions were organised. Hilary Orange of both Archaeology South-East, the Whitehawk Camp Community Archaeology Project, and the Post Medieval Archaeology Society, acted as mentor, along with much appreciated practical assistance from Lisa Jayne Fisher of Archaeology Services Lewes, Archaeology South-East’s finds processing unit, Brighton Museum, the Sussex Archaeology Society at Michelham Priory, and the Brighton and Hove Archaeology Society. Woodingdean WW1 Edwardian Origins Talk, July 2014. Photo, Holland-Mercer Collection. 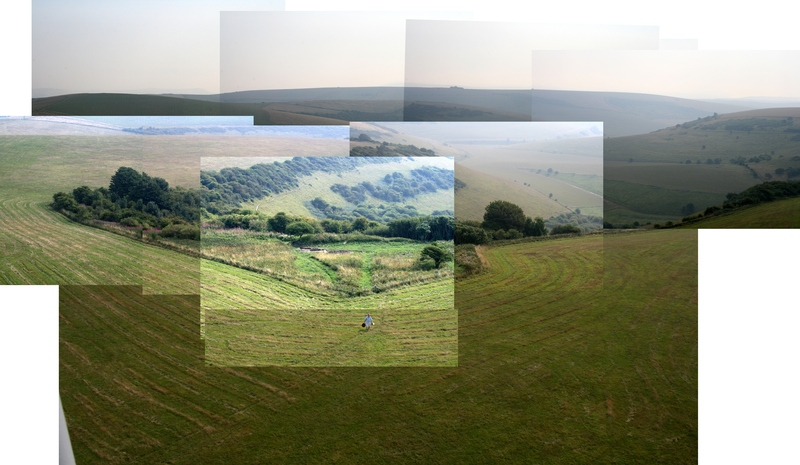 WW2 & Woodingdean Downs Talk, May 2015. Painting by Douglas Holland. The two most recent talks were for the Woodingdean commemorations of the start of WW1 in July 2014, and V.E. day in May 2015. These were my most ambitious talks yet, for they included proper history, as well as video and sound clips edited by myself. Front Cover of last draft of book, 2014. Painting by Desmond (Bob) Phipps. My researches for these talks has led me to realise I have been assembling new material enough for not one, but three books, each of interest to different audiences. The first book would be of the pre-Victorian origins of the Newmarket Farm as a result of the enclosure of the medieval field system of Kingston in 1830, through to the breaking up of the Kingston Estate at the end of the Edwardian period. It would be focused largely on the changes in agricultural practice and customs during this period. It would also deal with the challenges of Victorian rural life, which were hard enough for an agricultural labourer – which all those who had lived in Newmarket Farm were – but life for a family on an exposed and remote outfarm would have been about as hard as can be imagined. A second book would be centred on the tragic murder of Newmarket Farm tenant David Baldy by his former lodger Martin Brown, who was on the run from the Brighton police in 1868. This would encompass Victorian slum life in Brighton, the rural country life of Kingston Near Lewes at this time, and the judicial system. There was a huge huge amount of interest in the murder so an unprecedented amount of detail can be written of the people who lived in the village at this time. The last book of the trilogy would be of its twentieth century, showing the effects of industrialisation, urbanisation and two world wars on the lives of those who lived in Newmarket Farm. With its change of ownership and management from Kingston to Balsdean and the advent of the nearby Woodingdean (which had an increasing number and range of shops from the 1920’s), these all had a big influence on its outlook and influences. A significant part of this book would be on the final demise of both the Newmarket and Balsdean Farms during the Second World War. And because this last book is planned to cover its most recent history, this will be the first book to be researched, whilst there are still people alive able (and willing) to share their precious memories. Looking NW at dig site & Chris from SeSurveying doing 3d-laser scan. Meanwhile, I still have a dig report to write. My most recent excuse is that I wished to include the results from the 3d laser scan of the site which was created by SeSurveying. The only computer I had access to, which was capable of processing the results, was that of my mother. Which meant I needed to create synchronisation possibilities between the files on my Ubuntu linux based laptop and Windows on my mother’s pc. My laptop had run out of space on its hard drive. My father has developed demetia which makes my time at my parents not as productive as it used to be, which doesn’t help. Fortunately, as an early Christmas present I now have a laptop powerful enough to view, edit and store the results. So I am now starting the steep learning curve of learning how to use 3d image manipulation software. The free cut-down version of the native Faro Scene software has limited capabilities. Fortunately I have discovered that Scene lt can export a point cloud table of the results of our three laser scans of the site, which should be able to be imported into and edited by the Open Source software Meshlab. Fingers crossed! I should then be able to produce an accurate grid plan in three-dimensions of the site on which I can delineate the contexts which I have previously roughly drawn on a 2-d plan using the SVG drawing application, Inkscape. I have also made a slow start cleaning and quantifying our numerous finds stored in my parents’ garage – which until recently I had to view by torchlight since the garage’s elderly electricity supply had died. Because of all this the dig report is several months away from completion. I therefore no longer have plans to return to the Newmarket Farm site for further excavation next year. Nevertheless, to keep my myself in practice, for the past two years I have been a volunteer digger at the Bishopstone Tidemills dig run by Luke Barber of the Sussex Archaeological Society. It is of a similar period to the Newmarket Farm so I feel very much at home there. Most importantly, I can have all the fun of digging, without any responsibility for writing it up! To summarise; I have achieved lots, still have lots to do, have received lots of generous help and support getting stuff done, and (mostly) have had great fun doing it! More importantly I am very much looking forward to making further progress – writing up my report, and researching a WW2 Balsdean talk for the Sussex Military History Society in November. Happy New Year!